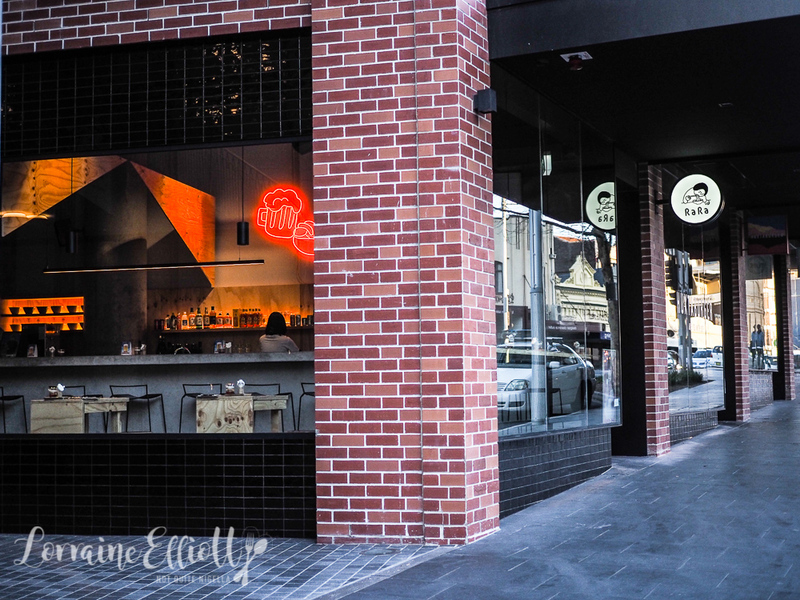 Redfern is exploding with so many eateries, none more so than on Regent Street. 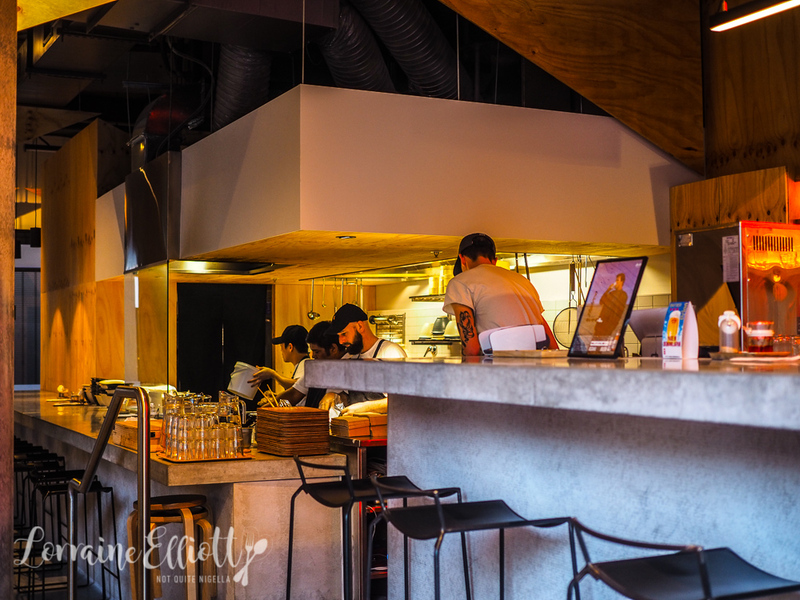 One of the latest is RaRa Ramen, serving up a small menu of 5 ramen (including one vegan ramen) and an equally short wine and beer list. But that hasn't deterred the queues and you're best to arrive just after opening to ensure that you get a seat. It's 5:08pm on Sunday and Mr NQN and I are the first to walk through the door of RaRa Ramen but by 5:45pm when we finish eating the restaurant will be completely full. First things first, RaRa Ramen serve hakata style noodles that is markedly thinner, straighter and less yellow than other ramen. 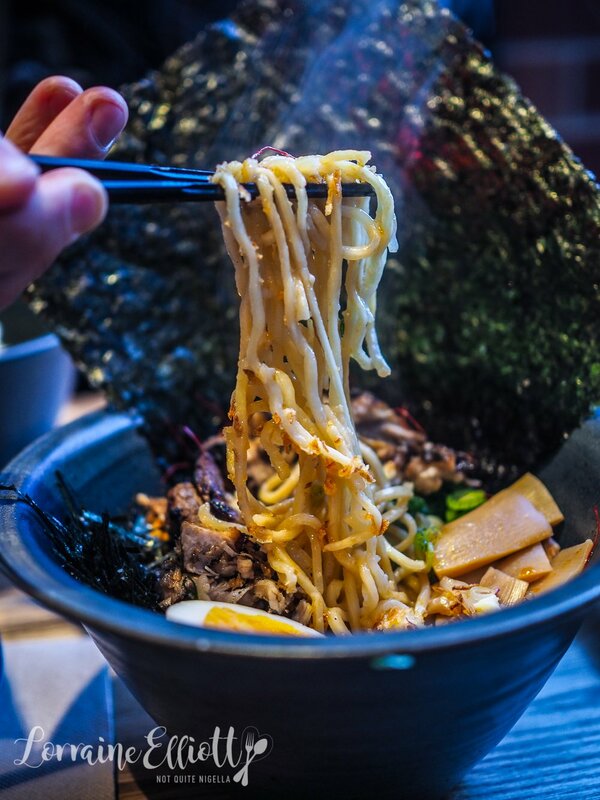 Hakata style ramen originates from Fukuoka city in Kyushu and the whole Hakata ramen experience also involves many other things like a silky, milky pork bone tonkotsu soup to go with the thinner noodles. Apart from thinner noodles and thicker soup, Hakata style ramen usually also the option of kaedama or ordering an extra serve of noodles to add to your soup. There is also a selection of unique free condiments like karashi takana, pickled ginger and bean sprouts. You can also usually specify how soft or firm you want your noodles. Here though the Hakata ramen influence encompasses the noodle itself and the tonkotsu but doesn't include the condiments, extra serves or ability to select noodle texture. 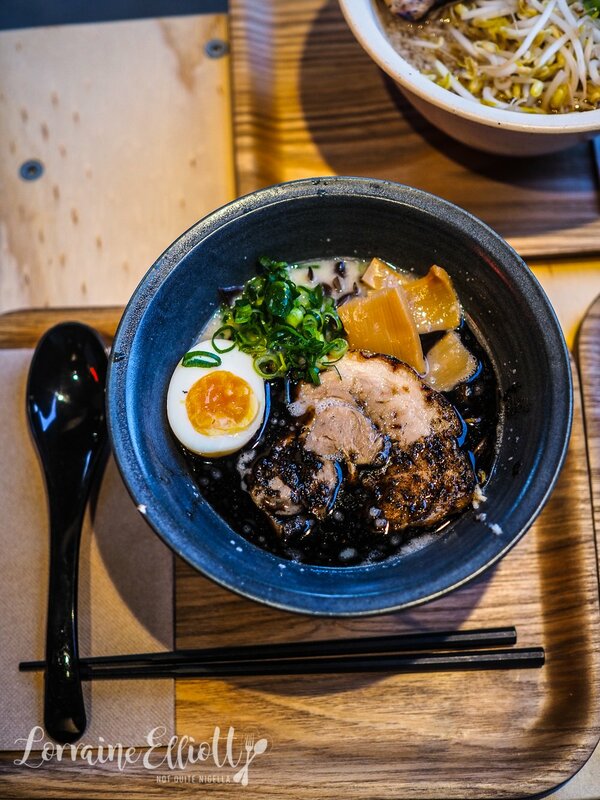 All of the noodles made by chef Scott Gault are made in house every day while the tonkotsu broth takes up to 14 hours to make. Service is fast and friendly. 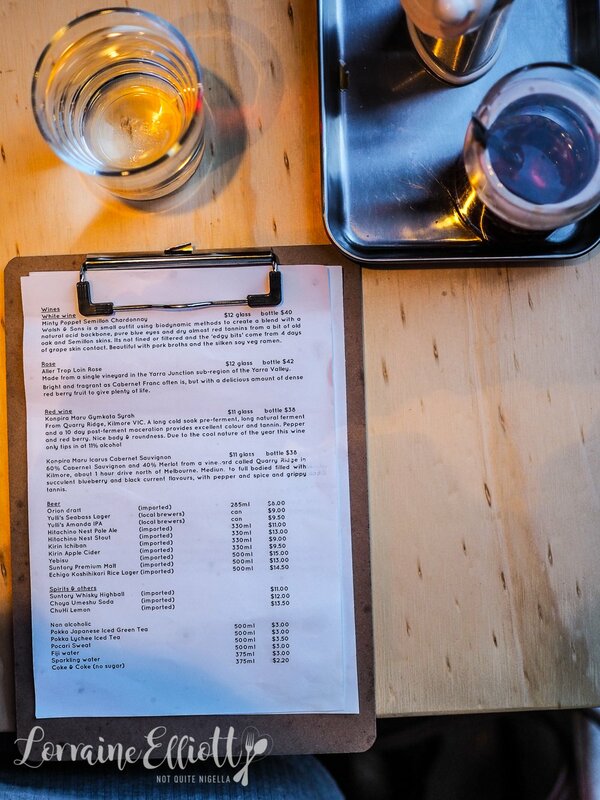 I wasn't sure which ramen to order and with just the two of us, I was torn in many different directions. And then I see the limited edition soup-less mackerel shoyu mazesoba (maze means "mixed") ramen. The Mazesoba ramen arrives first and I breathe in deep. It smells wonderful. This mazesoba also ends up being my favourite ramen. Perhaps it's the thicker noodles that I prefer or maybe it's the thick chopped up melting pieces of char siu, mayonnaise (yes! ), ajitsuke tamago or egg, shallots, bean sprouts, wombok cabbage, fried onion, chilli and mackerel bonito. I adore the cha siu with its unique finish on the charcoal grill releasing the true unctuousness of the fatty cut. The pork shoyu ramen arrives next with the thinner hakata style ramen. Because they are thinner, they do tend to soak up the soup faster so you have too eat them faster to enjoy the springy texture. There are bean sprouts, black pepper, shallots, ajitsuke tamago egg and free range grilled pork chashu. I like the sweetness of this soup as well as the lightness and the pepper adds an appeal to the soup. And although I do like thicker noodles, these have a good springy texture to them. We save the richest soup ramen til last. The tonkotsu soup broth made with a shio (salt) tare (flavour base) is not too kotteri (rich) but smooth and milky. The broth is made using water, garlic and pork bones. There is a thick piece of soft chashu, seasoned bamboo shoot, ajitsuke tamago egg, shallots and finely shredded black fungus. The black garlic lends it an additional smoky richness. 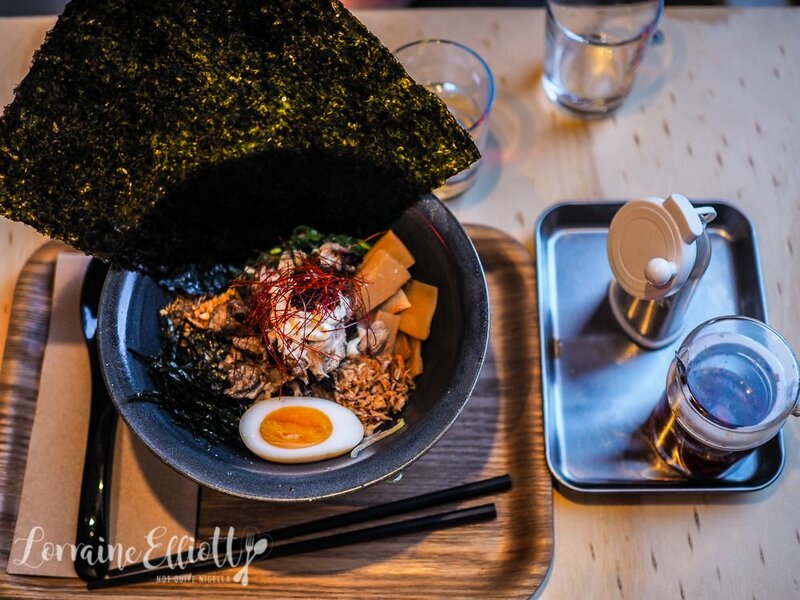 I'd love the ability to request firmer noodles but apart from that it's a tasty ramen. There's no dessert because that's not what they specialise in and we've come, and eaten in 45 minutes! 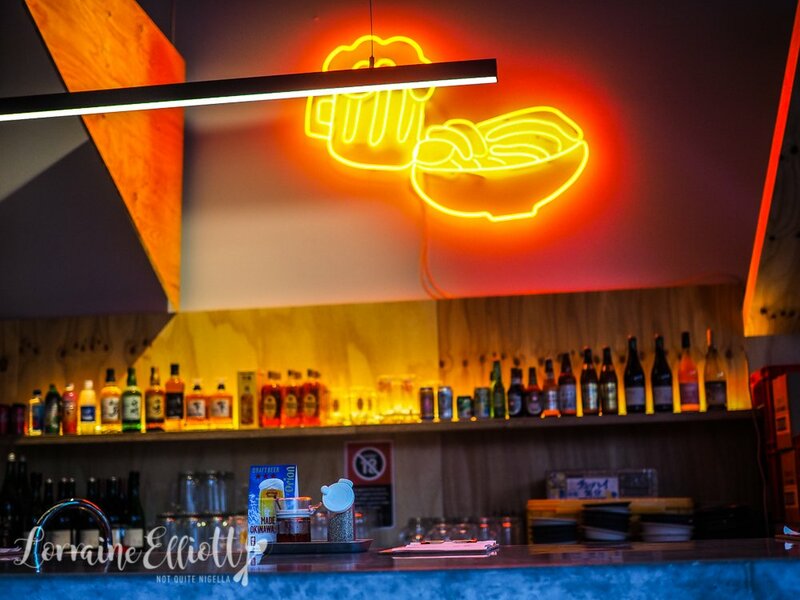 So tell me Dear Reader, do you have a favourite noodle type? 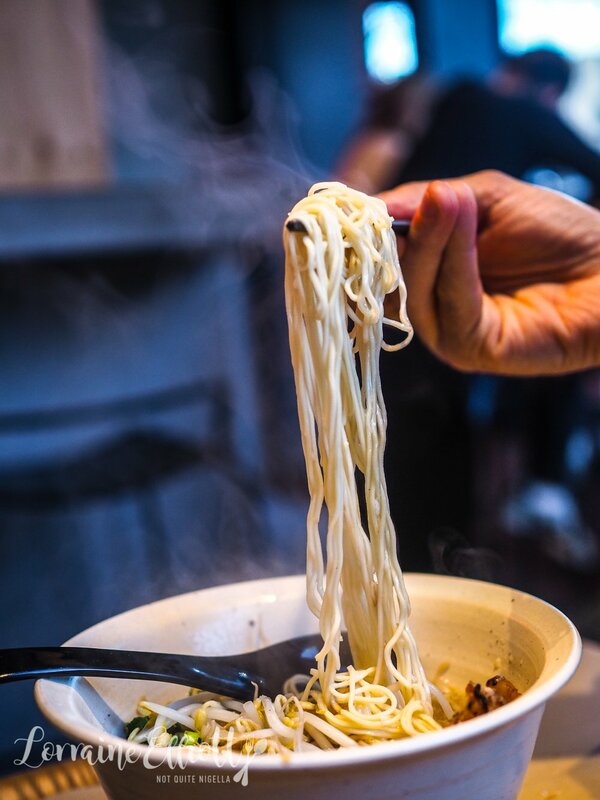 And do you prefer thicker or thinner noodles? 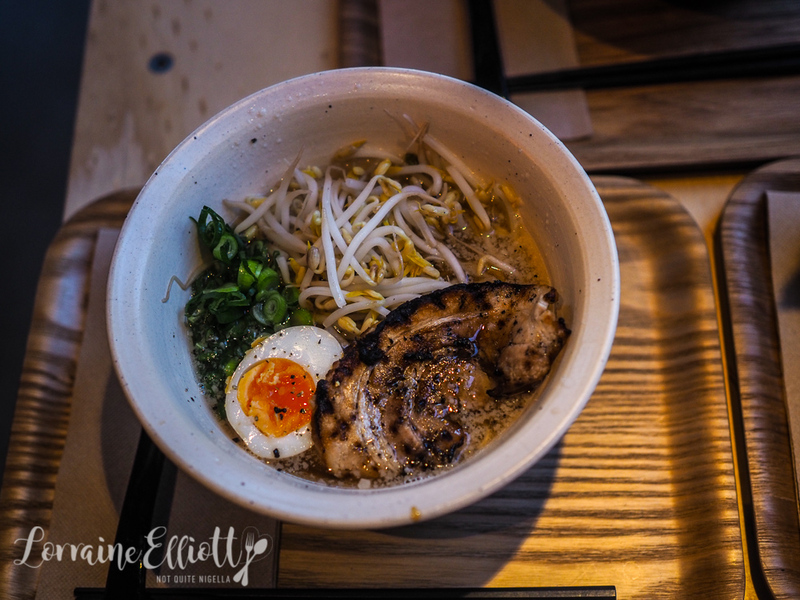 Have you ever tried Hakata style ramen?